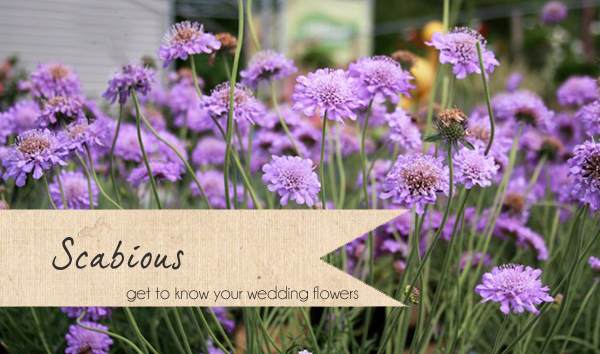 This week on ‘get to know your wedding flowers’ we are talking all about scabious. Scabious is perfect for country style, relaxed weddings, especially if you are going for the ‘just picked from the hedgerow’ wild flower look. 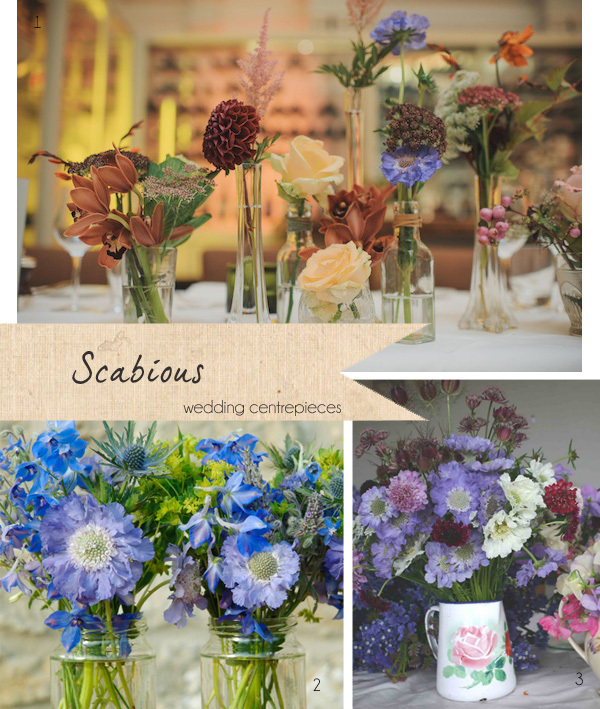 Over to Karen Morgan of Passion for Flowers to tell you all about using scabious at weddings. What season is scabious available in? Scabious or Pincushion flower is available from May to November but is at its peak from June to October. What colour do scabious come in? 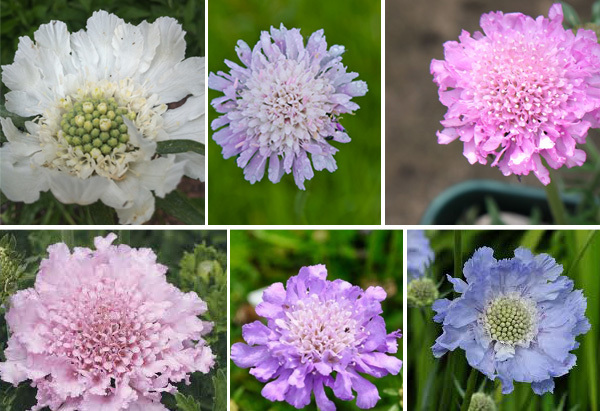 Scabious come in pretty pastel shades from creamy whites through to pale lilacs, soft blues and soft pinks. Would scabious look good in a bridal bouquet? We love using scabious in bridal bouquets but it needs to be used carefully as it is a delicate flower. Scabious works well as part of a soft mix of flowers. For a country style bouquet scabious works well with veronica, astrantia, delphiniums and other soft flowers to give a gorgeous hand tied textured bouquet. Touches of scabious with lilac give a heavenly scented late spring/early summer bouquet. Or try mixing scabious with hydrangeas, stocks or roses in a mixed bouquet. 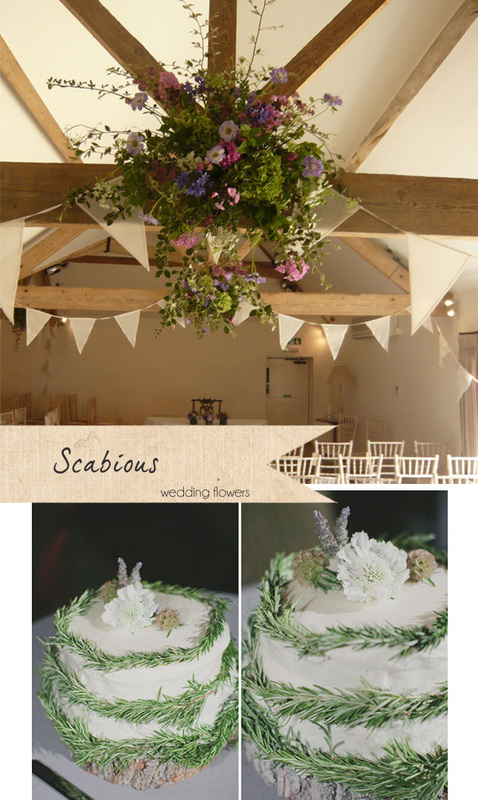 What style of wedding does scabious work with? Scabious flowers are perfect for summer weddings they are fab for that ‘just picked’ country garden look. 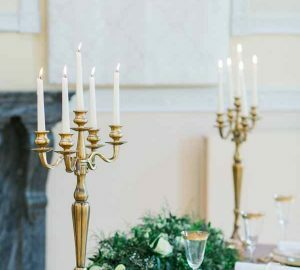 The dried scabious seed heads known as Bitterballs are increasingly popular to use in autumn and winter weddings, here at Passion for Flowers we love using the seed heads to add texture to our arrangements. Scabious are really useful for pastel coloured weddings. Could scabious be used in button holes or corsages? We wouldn’t recommend using the scabious flower heads in button holes as they are flimsy and may wilt, however the Bitterballs (dried seed heads) are great for wiring and adding into button holes and corsages. How can scabious be used in table centre pieces? For a relaxed barn or country style wedding scabious look lovely in groupings of jam jars and bottles, they can also be used in larger containers such as country jugs or china tea pots, perhaps you have containers in mind and want to use something you have collected yourself. Mix them with other country style flowers such as tanacetum, larkspur and nigella. 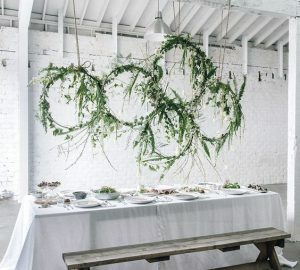 Where else can I use scabious at my wedding? 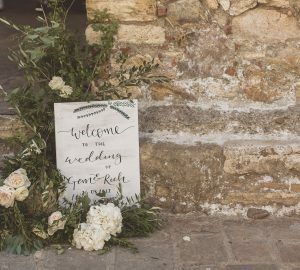 For a country wedding add scabious seed heads or flower heads to glass bottles these can be positioned anywhere around your venue, we think they look great on the gift or cake table. To decorate your wedding cake in a country / rustic style we think adding a touch of scabious to the top tier with lavender and rosemary around the other tiers looks fab. For large scale arrangements at rustic / barn venues we recommend large hanging globes for maximum impact. Scabious flower heads and seed heads can be used in these along with a mix of wild flowers and foliage. Do you have any conditioning tips for using scabious? Take care with the delicate scabious flower heads, re cut the stems and stand in water adding flower food, change the water every 2-3 days. It is important to add flower food as scabious can pollute the water.